Toasted Coconut, Vanilla Musk, Whipped Cream. That sounds pretty delicious. Smelling the wax, I smelled more of a suntan lotion coconut than toasted but hoping that changes once the wicks are lit and the wax is melting. More sniffing, the whipped cream was definitely there as well and that made me happy. Who doesn’t love some whipped cream with their toasted coconut? Me! ME!!!! I do!! I lit my Frosted Coconut Snowball candle in a large bedroom to start out and that’s where it stayed till the last drop of wax. It didn’t take long to reach a full melt pool and the aroma, it was interesting… up close and right around the candle, I smelled a sweet coconut that still kind of reminded me of suntan lotion but with the added mix of sugary whipped cream surrounding it. The whipped cream made this scent. Sniffing the air in the room however, it took on a waxy sort of crayon vibe. I kept going back in the room and sniffing the air to make sure and that’s what I smelled. Crayons, coconut and whipped cream. The musk listed in the description? Very light if there at all. I didn’t smell a whole lot of musk. 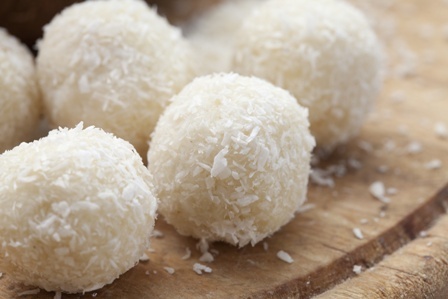 Strength – Frosted Coconut Snowball was pretty strong. The aroma from this candle wasn’t overpowering but still filled my entire bedroom and open bathroom with fragrance. I would rate this candle a 10 out of 10 in any size room. How did my Frosted Coconut Snowball candle burn? This candle burned great. No wick issues. Clean burning from beginning to end. Honestly, I’m not sure what to think of Frosted Coconut Snowball. At times, I liked it and then I didn’t like it. It was just one of those scents that didn’t really “wow” me so I think it’s safe to say, I will not be repurchasing this one. If however you love sweet coconut scents and want to try something different this holiday season, go to a Bath & Body Works store and smell this candle – see what you think. It may not be the most spectacular coconut Bath & Body Works has created but it was still very pretty to watch burn with it’s dark blue wax. 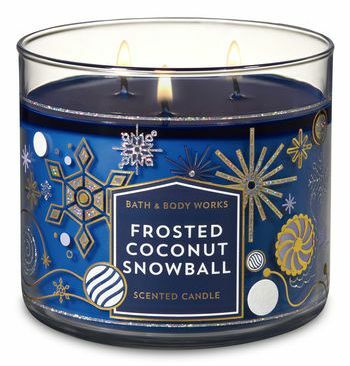 Don’t see Coconut Snowball listed on Bath & Body Works website? 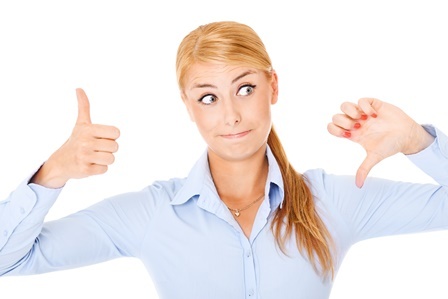 Try one of their stores which tends to carry all their current scents vs online.